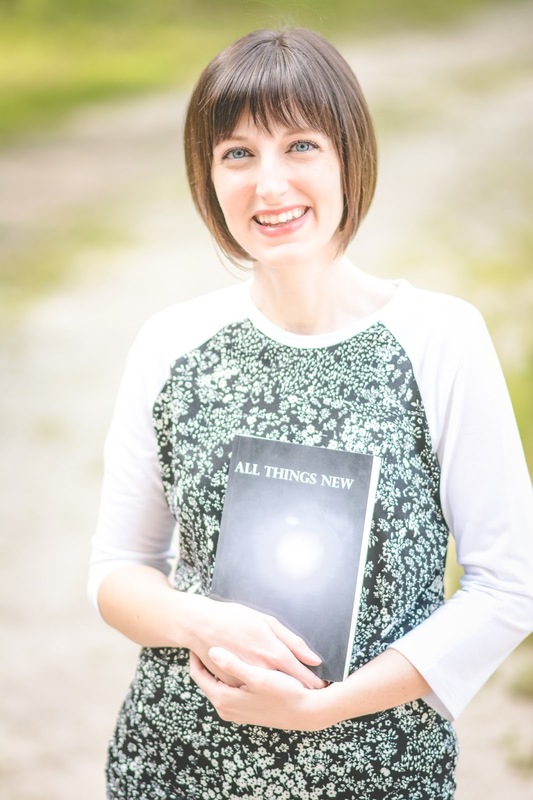 Join us for an evening with local author Britt Laux, as she shares her debut novel, ALL THINGS NEW. Britt graduated from Tri-Village in 2007 with her husband, Lou. Together they have three children and have made their permanent home in New Madison. Writing has always been her dream, and she posts regularly on her blog, www.brokentoabundant.com. There she shares about life, brokenness, and the way to abundance. Britt will share about the process of writing & getting a book published. Britt will also be signing her books. Copies of ALL THINGS NEW will be available for a special purchase price of $10 for that day only. There will also be door prizes & light refreshments will be served by the Friends of the Library. ALL THINGS NEW is a story of forgiveness and redemption. After a difficult season of loss and abuse, Nova is weary. Raising her daughter on her own, she’s mainly just trying to survive. When she meets Cyrus, she begins a journey out of the shadows and into the light. Seeds of hope were planted by her mother, and they are finally able to bloom under a gentle hand.